Gone are the days when performance cars used to be a different segment altogether. Even hatches and pseudo-SUVs these days offer enough horses to stop you dead in your tracks. The latest addition to the list is Volkswagen’s baby SUV. The German automaker has injected the T-Roc with steroids and named it T-Roc R. The T-Roc R was launched at the 2019 Geneva Motor Show, and it comes riding on 296 horses! 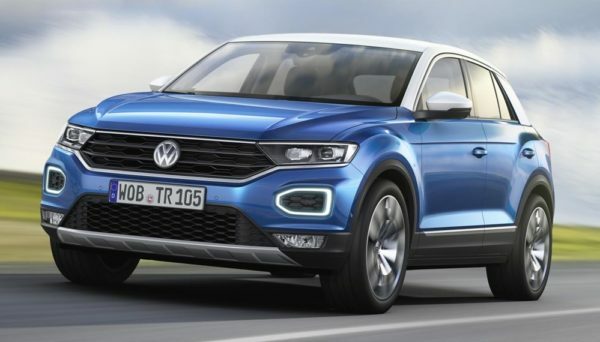 In an unprecedented invasion of performance SUVs, the Volkswagen Group introduced yet another performance crossover – the Volkswagen T-Roc R. It is basically a buffed up version of the highly sought after subcompact crossover T-Roc. Digging a bit deeper one can find a whole lot of the Golf R under its subtle body. And, that is a good thing. As for now, the Volkswagen T-Roc R is a near-production concept car. Yet, as is the case with the Cupra Formentor Concept, I believe it will be greenlighted for production in a few months following the 2019 Geneva International Motor Show. The T-Roc R joins a quite astounding lineup of performance crossovers that include the Cupra Ateca, the Cupra Formentor Concept, the Skoda Kodiaq RS, the Volkswagen Tiguan R-Line with 240 horsepower engine, the Audi RSQ3, and the Audi SQ5 TDI. Obviously, I included here almost all performance SUVs regardless of the power output. They do target similar customers. Do you really think someone in love with the Formentor does not dream bigger – like about the SQ5? Of course they do. 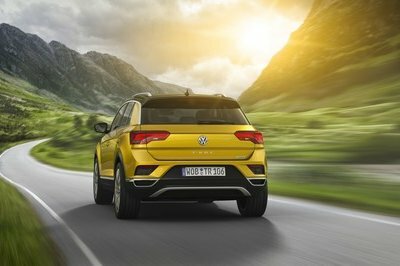 Obviously, Volkswagen is big on giving the drivers what they really want, and although it came to the SUV/Crossover party a bit late with the T-Roc, it definitely moved in the right direction with the hot one. Volkswagen is testing its upcoming T-Roc Convertible, and this is the very first set of shots showing a camouflaged prototype of the drop top. The vehicle will replace the VW Golf Convertible in the range, and like that car, it will feature a soft top and frameless and pillarless doors. It is going to be a four-seater vehicle with decent room in the back for passengers, powered by a range of mostly gasoline and probably diesel engines and at the moment it has no real crossover rivals in the same size and price bracket. The soft top it uses looks like it’s very similar in shape to that of the current Golf Cabriolet, and it will pretty much offer the same experience as that car but will sit slightly higher off the ground and better off-road capability. But make no mistake, it is designed to spend most of its time on the road, and we doubt anybody will want to do serious off-roading in one of these. The Volkswagen T-Roc R is not yet officially unveiled, but we know what it looks like thanks to a fresh round of spy shots. The car has been spotted at the Nurburgring numerous times where it’s undergoing high-performance tests while giving us a clue of what to expect. 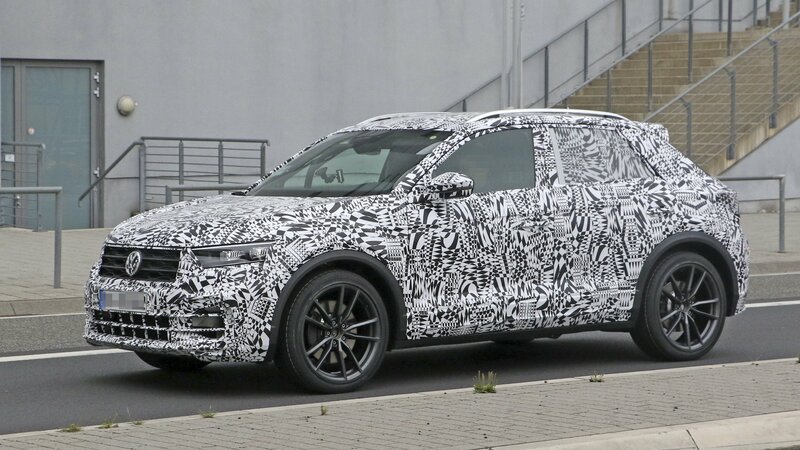 Spy shots reveal the T-Roc R sans any camouflage, and it looks largely similar to the regular T-Roc with just a few minor updates to make it stand out. 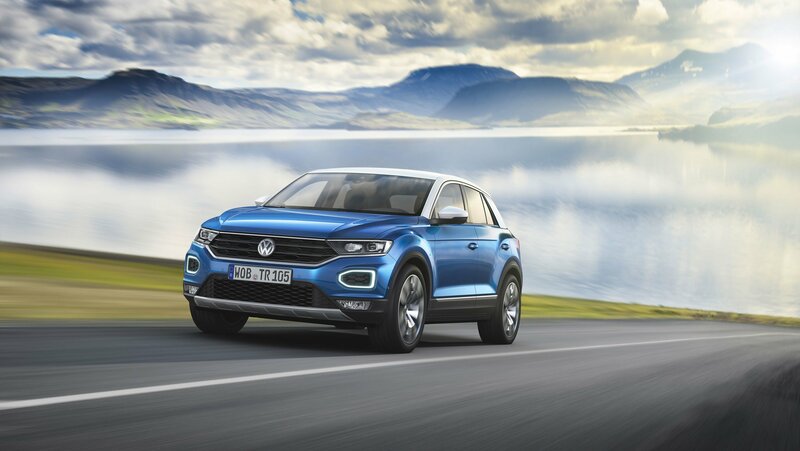 Launched in 2017, the T-Roc is Volkswagen’s smallest crossover yet. Built on the MQB platform that underpins several Volkswagen Group vehicles, it’s related to the Audi Q2 and Seat Arona and competes against the likes of the Nissan Juke, Toyota C-HR, and Renault Captur. Ever since it arrived in showrooms, there have been rumors that Volkswagen may develop a GTI version of the mini SUV. Come 2018, and the beefed-up crossover was spotted testing on public roads. Performance-oriented models are quite rare in this niche. Although the segment is populated by at least ten models from various companies in Europe, none of them are available with power upgrades. Nissan used to offer a Nismo version of the Juke, or even the extreme, GT-R-powered Juke-R, but these variants are no longer available. 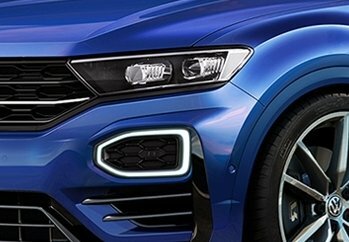 This means that the T-Roc GTI will be a unique model and will have the entire market to itself. At least for a while. Let’s find out what it may bring to the table in the speculative review below. As of the time of this writing, the Volkswagen Golf R is the only car offered by VW with an R badge. All of that is apparently about to change, as reports indicate that VW will be giving the R treatment to a big portion of its lineup, beginning with the T-Roc R, Tiguan R, and Arteon R. Of course, this isn’t the first time we’ve heard this rumor, but there’s more to it. The Touareg and Tiguan have been so successful in their first years on the market that Volkswagen decided to expand its crossover lineup with at least three new models. One of them is the T-Roc, and it’s the company’s smallest SUV until the T-Cross arrives. Built on the ubiquitous MQB platform, the T-Roc slots under the Tiguan and it’s related to the Audi Q2 and Seat Arona. Developed to compete with popular subcompact crossovers like the Nissan Juke, Renault Captur, Toyota C-HR and many more, the T-Roc is now also available in R-Line spec, Volkswagen’s top trim outside the GTI and R models. Now available on a wide range of cars, the R-Line package is both sporty and stylish, creating a unique look that you can’t get with the usual options. 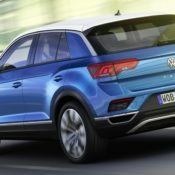 This is available for the T-Roc too, which gets sportier bumpers front and rear, while a the body-colored elements from the sides and around back make the crossover look less rugged. It’s a bit far-fetched to say that the T-Roc R-Line is more elegant than the standard model, because not many SUVs are, but I must admit that the small SUV looks really well with body-colored side skirts and rear apron. As usual, the engines are shared with the standard model, but Volkswagen added a bespoke suspension setup for a sportier ride. Let’s find out more below. 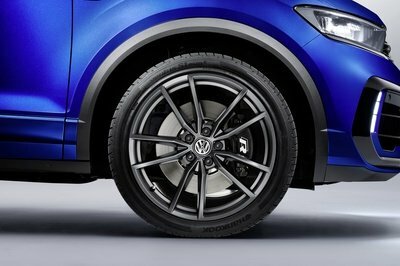 Continue reading to learn more about the Volkswagen T-Roc R-Line. The world is crazy over SUVs, so automakers are rushing to fill every possible little niche they can to secure their piece of the pie. 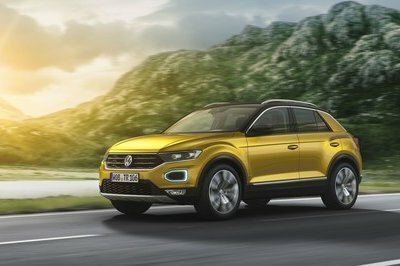 Over in Europe, Volkswagen has done just that by introducing the T-Roc as a model that slots below the Tiguan. 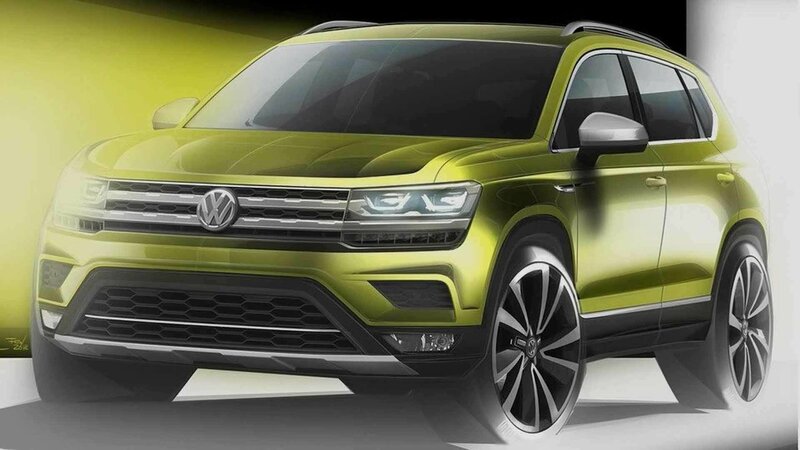 But, the U.S. and the rest of the world needs a compact SUV as well, and that’s why Volkswagen has teased what it’s calling the Volks-SUV or “Peoples SUV.” It will slot below the Tiguan in in most other markets outside of Europe, including the United States. 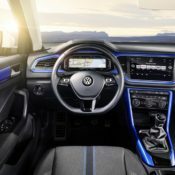 It will hit dealers in China first and will eventually be imported from Mexico into the U.S.
Volkswagen Brand CEO, Herbert Diess, told Automotive News Europe that the plan is to sell some 400,000 examples of the Volks-SUV globally. It will be built in Mexico, Russia, and Argentina, with the U.S. getting its supply from Mexico. It’s said to be just a bit more compact than the Tiguan and will also help the company comply with CO2 Emissions targets. So, don’t expect it to be powerful at all, either. 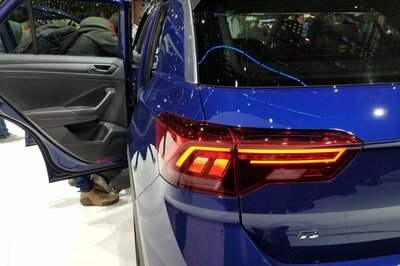 It will be based on VW’s MQB platform and will likely be front-wheel-drive only. In the end, it’s hard to make a business case for this SUV. 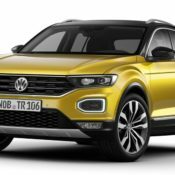 The Volks-SUV is basically the same size as the T-Roc with some small modifications like a different front fascia and different rear quarter glass. It would certainly just make more sense to have the T-Roc as a global model, but then the brand couldn’t boast quite so many models in its lineup, right? For now, there’s no word as to when the Volks-SUV will hit the U.S. market, but you can expect it to come after 2020 as that’s when it’s production footprint will extend from China to the Russia, Argentina, and Mexico. With that in mind, we’ll probably see the Volks-SUV hit the market in 2021, so there’s still a while to wait if you’re really wanted a small VW SUV. What do you think? Will this model stand out enough to be successful on the global market? Would VW have been better off to spread the T-Roc love across the globe? Let us know what you think in the comments section below. Read our full review on the 2018 Volkswagen T-Roc. The wait is over and the Volkswagen T-Roc is finally revealed in production trim. The new compact crossover sits below the Tiguan in the range and competes in the €20,000 crossover segment. It counts on its blend of practicality, features and style to win customers over. The design of the 2018 Volkswagen T-Roc is aggressive without being too in-your-face. Some might even call it conservative. It is roomy, though. 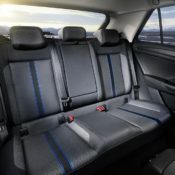 If all five seats are occupied, luggage space when loaded up to the top edge of the rear seat backrests totals 445 litres. Features and equipment are among the other strong points. The T-Roc comes with high-tech systems such as Front Assist area monitoring with City Emergency Braking and Pedestrian Monitoring, the Automatic Post-Collision Braking System and the lane keeping system Lane Assist in all models. Available with a choice of two- or four-wheel-drive, 2018 Volkswagen T-Roc can be had at launch with three petrol engines (TSI) and three diesels (TDI). The car also benefits from adaptive chassis control DCC and progressive steering, so it should also be pretty nice to drive. The long list of features, depending on the model, include items such as adaptive cruise control (ACC), Rear View reversing camera, the lane change system including Rear Traffic Alert, Blind Spot Monitor, lane keeping system Lane Assist, Park Assist including manoeuvring brake function, Traffic Jam Assist and Emergency Assist. 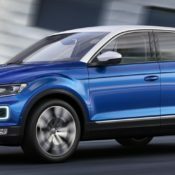 The post Official: 2018 Volkswagen T-Roc appeared first on Motorward. You may remember the name T-Roc from a 2014 concept Volkswagen revealed in Geneva. They shelved the idea back then, but now it’s back with new looks and features and a production pass. The new 2018 Volkswagen T-Roc will debut later this month in pre-production from and will be released next year. To be honest VW should have made the T-Roc three years ago when the compact SUV market wasn’t as hot as today. It might have suffered a slow start, but as the urban crossover trend gathered heat it could become one of the top players. Now though, 2018 Volkswagen T-Roc will have to start from scratch and fight its way up. It does seem to have all it needs to succeed, though. As with all small crossover SUVs, the ultimate goal of 2018 Volkswagen T-Roc is to blend effortless superiority of an SUV with the agility of a sporty, compact model. This is also reflected in the car’s design, which is both compact and sporty and kind of rugged looking and tough. You can’t go on a safari with it, but it can handle the occasional venture into the nature just fine, probably better than most its rival if it gets VW’s 4MOTION and one of the good turbo petrol engines they offer. Stay tuned for official pictures, details and videos over the coming days. 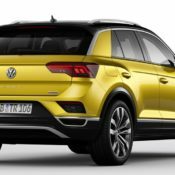 The post 2018 Volkswagen T-Roc Compact SUV Preview appeared first on Motorward. Remember back in 2014 when Volkswagen put the T-Roc Concept on display at the Geneva Auto Show? Well, you should, because it was one of the few VW concepts that we could actually appreciate and the one that we really looked forward to seeing in production form. Fast forward to today, and VW has decided to spill the beans on the all-new T-Roc just a month before it’s set to make its first major appearance at the Frankfurt Auto Show. 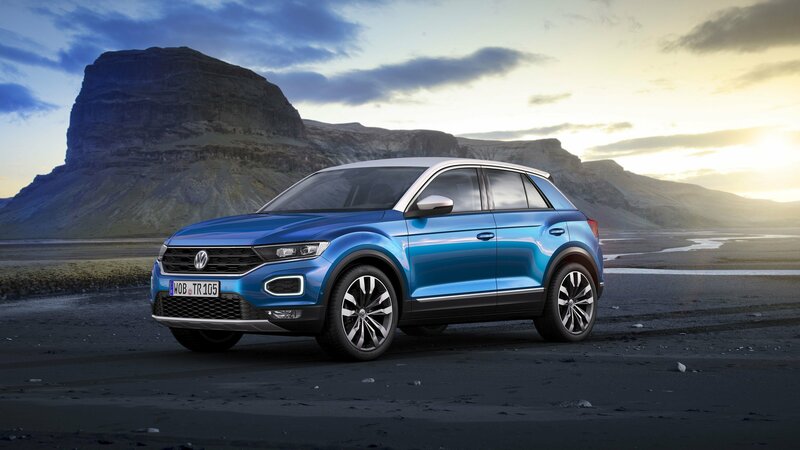 Billed as an innovative compact crossover, the T-Roc boasts a large number of standard features, a sporty exterior design, lots of cargo room for its size, and a massive list of drivetrain options. Driver assistance features fill the list of standards as well, while there are enough options to make the T-Roc customizable to just about any taste, whether your bland and boring or like to stick out like a sore thumb. 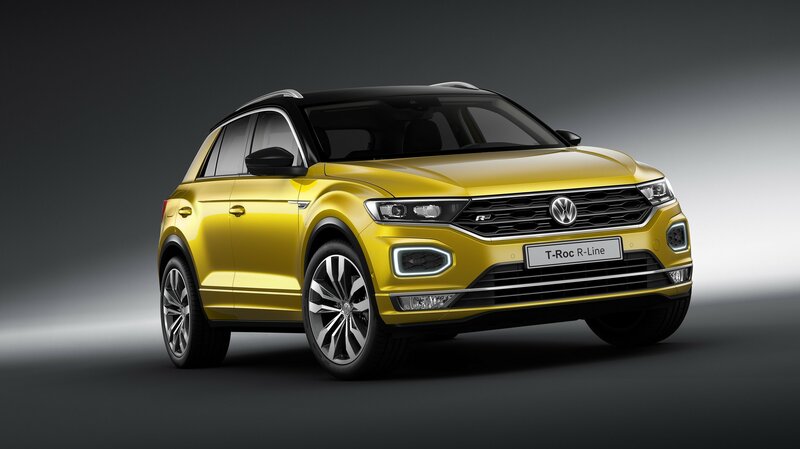 Three trim lines make up the T-Roc family tree, with the base model offering a good, affordable starting point, while the upper two trim levels – Sport and Style – bring lots of personalization and stand-out options that are exclusive only to those trim levels. As an all-new model, that we really haven’t known too much about until now, we truly have a lot to talk about. But, you can rest assured that Volkswagen wasn’t playing games or being lazy when it came up with this compact crossover. It’s very well thought out, full of all the goodness that should drive sales and should certainly stand out in the very crowded segment for which it now resides. So, with that said, let’s dive on in and talk all about it – you never know; this just might be your next new car.